Our enterprise is a renowned name, which is engaged in offering a comprehensive range of Aluminium Frame & Grill. This range of aluminum frame offered by us is designed & developed utilizing high-grade raw material and latest technology in complete adherence with the international quality norms and standards. 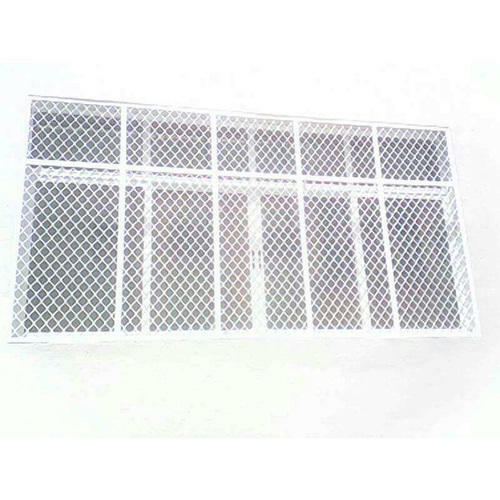 Along with this, the offered range is widely known in the market for its usage in the aluminum frame for kitchen cabinet, solar collectors’ aluminum frame, aluminum frames for silk screen printing. Since our establishment in 2012, we, Rajeshwari Enterprises, are engaged in manufacturing and manufacturers and service providing wide endowment of Office Work Station. We provide an extensive range of roofing system which includes Aluminium Acp Cop Board, Aluminium Balcony Windows With Netlon and Aluminium File Self to our customers. In addition to these, Resistance against termite, fine finishing, longer life and dimensional accuracy make our products widely demanded by the patrons. Moreover, we offer our range in various sizes, shapes, and thicknesses so as to meet distinguished demands of the clients. Our ability to fulfill emergent of bulk orders within the specified time has enabled us to serve huge clientele. For making an extensive range of our products, we have developed ultra-modern infrastructure, which includes advanced manufacturing unit, quality testing unit, and a large warehouse. We utilize latest manufacturing processes with highly advanced machines and large production lines for our products. Our team of experienced professionals, scrupulous business dealing, qualitative product range, reliable and cost-effective solutions and on-time delivery of the products are some of the notable attributes which always play a key role in the accomplishment of complete clients' satisfaction. Our company provides these products in varied packaging options to our vast customer base.